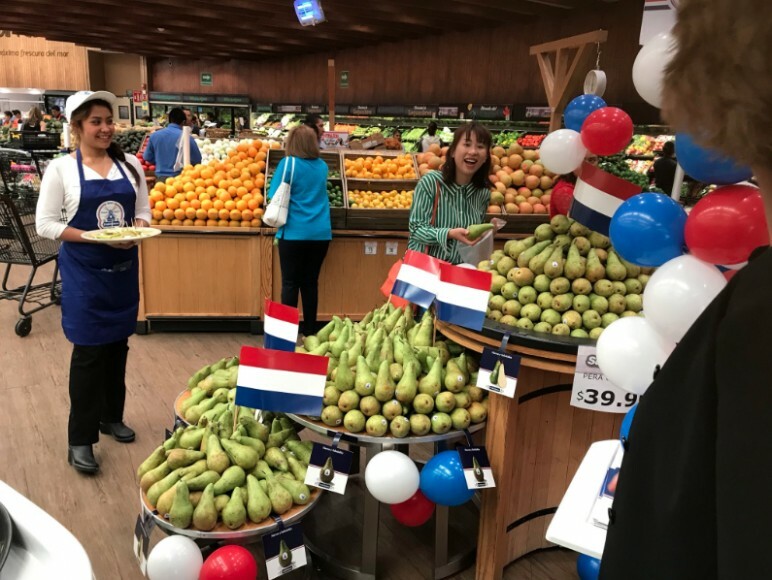 The first ever shipment of Dutch pears to Mexico has been officially welcomed by the Netherlands’ ambassador Margriet Leemhuis. The Conference pears, which were shipped by one Holland’s leading fresh produce exporters Fruitmasters, have gone on sale at several branches of Superama, a major supermarket banner owned by US retail giant Walmart. According to a press release issued by the Dutch agriculture ministry, the fruit will be promoted actively throughout Mexico. It is expected the focus of the campaign will be on the sweetness and juiciness of the product, utilising Fruitmasters’ windmill icon to underline its role as a producer as well as an exporter. “The Conference is an extremely juicy and deliciously soft pear with a delicious, sweet taste that is likely to be appreciated by Mexican people,” the press release stated. Fruitmasters has invested heavily in promoting its Conference pear offer to a number of new markets over the past few years, notably in China.